There really is nothing like a pet, is there? 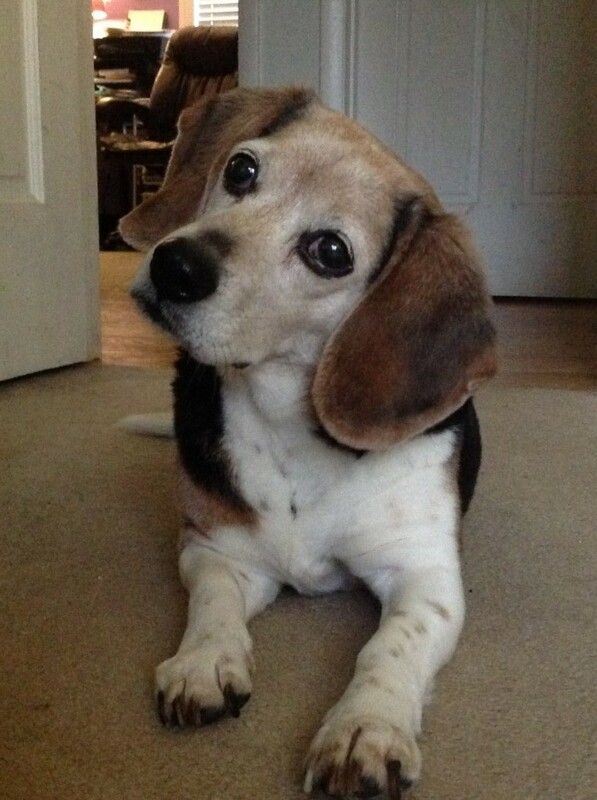 When I get back home, I open the door saying in the voice I save for this particular communication, “Is there somebody handsome in this house?” If Charlie does not come creeping right away (it’s so very hard to wake up), I say something like, “Oh I wish I had a beagle. A handsome beagle . . .” By this time, it’s hard for him to resist. The jingle of a dog collar, the tiptoe sound of nails on hardwood. I turn the corner saying, “A beagle with a white-tipped tail, with a little smudge on his nose . . . ” He appears, walking slowly, his tail smacking the wall with each wag. “There’s my boy! How’s my sweet baby?” He sits, looking up at me with practiced expression, eases his way down, and rolling over, waits for his long overdue tummy rub. I comply. (I’ve been well trained.) And I am home.